In preparation for the large pile of apricots you’re receiving this week, I’m going to post a link to the USU extension publication on preserving apricots. I could gather up lots of different recipes for you, but honestly, the only thing it was missing is freezer jam (see below). I did, however, add my favorite apricot dessert after the freezer jam — Apricots and mascarpone. Dead easy and looks professional. 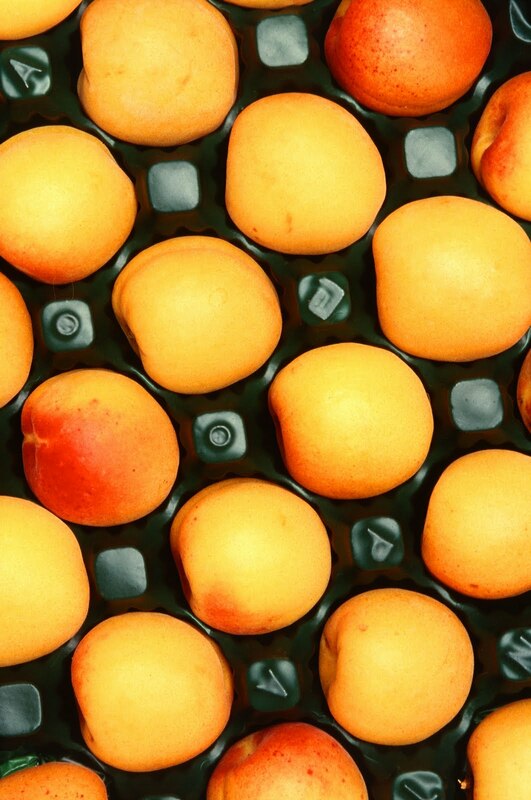 To prep the apricots for mashing, you’ll want to wash them, peel them, and take out the pits. Dipping them whole into boiling water for a couple of minutes will help the skin slide right off. This is an elegant dessert option, but takes almost no effort to make when served cold. It can be served raw or quickly baked. You’ll want a couple of apricots per person, some mascarpone cheese, some honey, and maybe a dash of cinnamon or powdered ginger. Wash and halve the apricots and arrange on a baking dish with some butter in the bottom to prevent sticking (if you’re serving hot) or a serving plate (if uncooked). [If serving hot, baste them with a little warmed honey and bake them at 400 for 10-15 minutes until soft(er) and starting to caramelize.] Put a dollop of mascarpone in the center of each apricot half, drizzle everything lightly with honey, and add a dash of spice if you’d like (or slivered toasted almonds). Side note: This makes a great pairing with an apricot wheat / hefeweizen beer as a dessert course. It would also go well with a bit of ginger muddled with soda water for those who don’t partake.